1. TMCT-10 Pro uses Bluetooth 3.0 chip. 2. The maximum data transfer distance of TMCT-10 Pro is up to 196ft. 3. 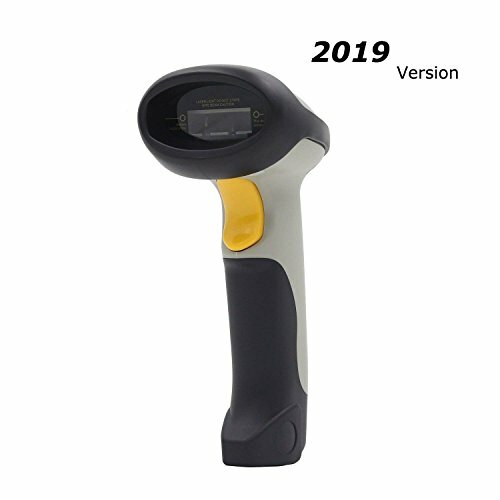 TMCT-10 Pro simplify the pairing steps, instant connection without scanning any pairing barcodes, just turn on the scanner and search it in the bluetooth list of your device. 4. You can easily clear the pairing history by long pressing the trigger of the scanner for 10 seconds and pair a second new device without return the scanner to factory default setting. 5. Once you connect the scanner with IOS device, you can easily bring out or hide the onscreen virtual keyboard by pressing the trigger of the scanner once. This is much easier to operate than double-click the trigger. 6. If the scanner is paired with Android 7.0 device, the onscreen keyboard of Android device will automatically show up once connected. For the android 7.0 below device, if the cellphone UI can bring out the onscreen keyboard, you can just press the trigger once; otherwise, you need to switch off the android bluetooth. 7. You can pair our TMCT-10 Pro bluetooth 3.0 scanner to old windows XP or Bluetooth 2.0 device; while other bluetooth 3.0 scanners on the market does not have this function. UPGRADED: Password-free Connection without scanning any pairing barcodes, the max transfer distance extends from 32ft to 196ft, updates the bluetooth version from 2.0 to 3.0. Easy your work. Two ways of connection: USB cable connection and bluetooth wireless connection. The scanner can work wired or wireless as you wish. No worry the data loss. Two working mode: Instant upload mode and inventory mode. The scanner will automatically save the scanned data when it is out of range and then transmit when it reconnects to the receiver. If you have any questions about this product by TEEMI, contact us by completing and submitting the form below. If you are looking for a specif part number, please include it with your message.